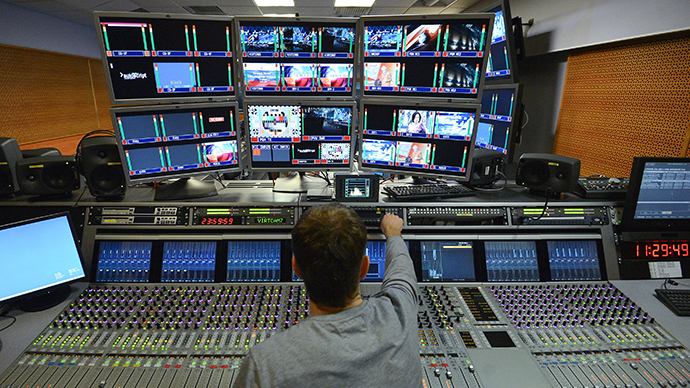 The Russian lower house has passed the bill that removes a ban on advertising on paid cable TV in cases when at least three quarters of the content used by channels is “national product” made using Russian investments. The initiative had been drafted by MP Olga Timofeyeva of the parliamentary majority United Russia party following numerous complaints from the mass media community on the federal law banning any commercials on paid cable and satellite channels that came into effect from January 1, 2015. The new bill allows advertising on paid satellite and cable TV channels if 75 percent or more of their content is “national mass media product” – a freshly-minted legal term meaning that at least 50 percent of investment in the program, film or any other TV content came from Russian companies, individuals or government. However, translation of imported materials is not considered production and its cost is not added to the Russian share of investment. The motion puts the Federal Anti-Monopoly Service in charge of labeling TV content as national product as well as of monitoring the TV channels for violations of the new amendments when they come into force. The necessity for corrections has arisen when it became clear that the federal ban on commercials on paid TV channels, while not applying to major federal broadcasters, made life extremely difficult for small private TV channels in Russian regions, putting them on the brink of bankruptcy. The issue was raised at Vladimir Putin’s annual press conference at the end of last year -Aleksandr Brechalov of the mass centrist political movement All-Russian Popular Front told the president that once the restrictions are imposed, they could affect over 60 million customers and lead to the loss of about 1,700 jobs in the mass media. Political and human right groups appealed to the authorities to revoke the advertising ban, viewing it as a restriction of the freedom of speech. Putin hinted at possible changes during the press conference. Later, presidential press secretary Dmitry Peskov told RT that he expected the president to support the partial lifting of the ban. “I have no doubt that Mr. President will pay due attention to this initiative by the Popular Front in order to render some help to cable TV stations broadcasting through cable networks that are right now facing very serious financial problems in their activities,” Peskov said. The amended bill will come into force as soon as it is officially published in the mass media.